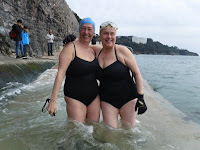 On Sunday we had a get together of swimming friends at beautiful Meadfoot in Torquay. Helen, Rosie and Paul came up from Plymouth, and it was the first time I'd seen them since Felix died last year. Jackie's dear husband Gordon died recently, and there was a sense we just wanted to be together. 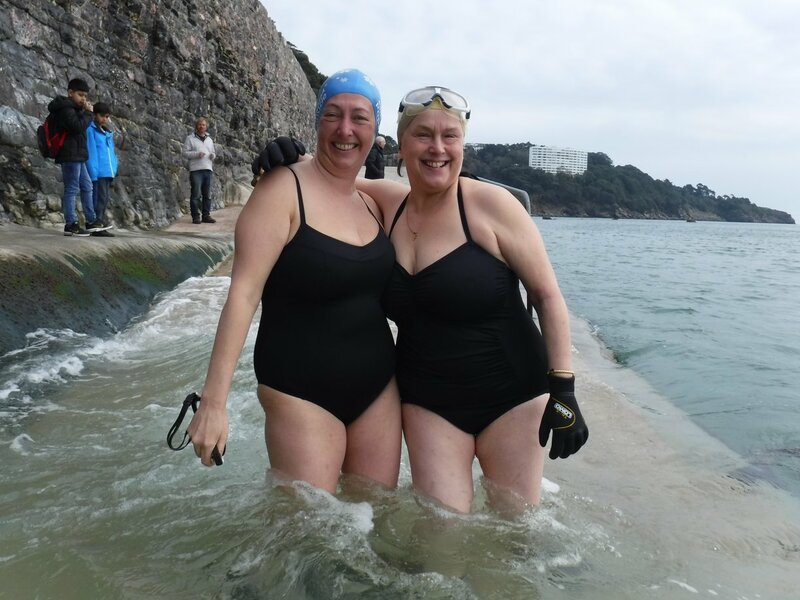 We've known each other for several years; we met through swimming and have had many and varied adventures both on the coast and on Dartmoor. We've shared great joy and terrible loss. We've had magical, memorable times together in the water, but also had to deal with the deaths of our dear friends Jonathan and Lynne, and of Felix. These experiences have created a strong bond. 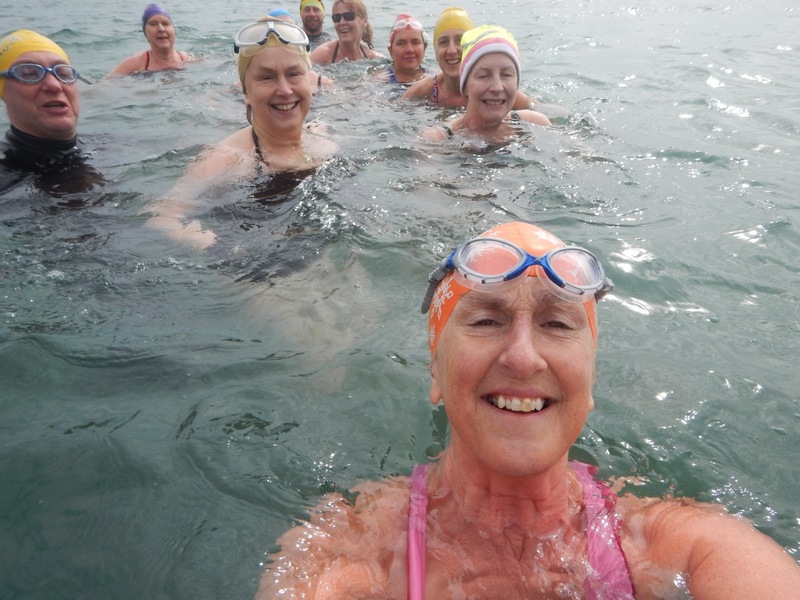 As we walked, laughing, into the sea I felt a sense of security and continuity with friends who are part of a sort of watery communion.